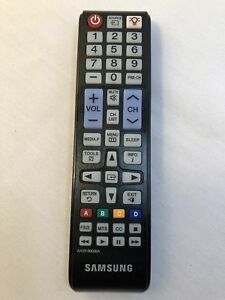 This is a great remote for my Samsung TV, but its not an OEM Samsung remote. This lights up far better than any of my Samsung remotes. I didn't have to program this and everything works right out of the package. It doesn't say Samsung anywhere on it, if that even matters. If it bothers you than take the battery cover off and exchange it. Or go to Samsungs website and spend a bunch more for an OEM remote. This just works and you can't ask for more. the keys on remote, doesn't light up hardly at all, you get into a dark room push any key, as you can see, the lighting is so low, its hard to see it on, in a lighted room. other then that, the remote is a perfect working remote, with a lot of features. Excellent OEM Samsung remote with night light feature has all the necessary options without frills. Works without issue. Exactly what I wanted. No programming required to use with my Samsung TV. Works perfectly. Very satisfied.